Eleanor Kolchin was once a computer. When she accepted her first full-time job in 1946, “computers” were people, not machines: As a programmer at Columbia University's Watson Scientific Computing Laboratory , Kolchin helped astronomers make sense of the universe by operating sofa-sized calculating machines capable of little beyond basic arithmetic. She was Columbia Engineering Quarterly's first-ever female contributor, and spent over two decades manning computers to complete astrophysics research at New York University. For our “Life As” series, we spoke with Kolchin about the labor-intensive process of making the machines of yore do math, what the future of tech looked like in the 1950s and what amazes her most about computers now. How did you end up in computing? I was a math major, and I expected I would teach high school math. So before I ever got a job, I had applied to get a master's degree in math at Columbia University. My father came home one day and said he’d heard IBM was hiring mathematicians, so I sent them a letter, and I got a job there. It was 1946, and I was 21 years old. IBM hired five mathematicians -- two women and three men -- because in a few years they were going to unveil a big machine they would use to calculate the orbits of the planets and do Moon calculations, which were the ones they used when the astronauts went to the Moon. We had a lot more women working in the lab than was usual, I think. At IBM women were more likely to be key-punch operators, but I think that was not true at the Watson Scientific Computing Lab, where we had a lot of scientific women. What could you use the machines at the computing lab to do? The machines could only add, subtract, divide and multiply, and that’s what we’d do. When someone gave me a differential equation -- which you couldn’t put directly into the machine -- I could tell you how to solve it arithmetically and then enter it into the machine. The machine would punch out answers on a punch card. How did you actually complete a calculation? At the beginning, we had to do it with plug boards. It was so elementary. If I wanted to multiply, say, 12 times 15, I would punch a “one” and a “two” into the first column of a card and the second column of a card, then in the third column I would put another “one” and in the fourth column I would put a “five.” So the first two spots would be “one” and “two” and that would go into place on the plug board that shows it is the multiplier, and then the third and fourth spots on the card would go to a place that showed it was the multiplicand. And then there was a third slot that was to be the result, and that would punch the answer into whichever column on the card you wanted to put it in [the cards had 80 columns in all]. And then you would need six wires to complete that. What was most frustrating about the computers you worked with in the early part of your career? Every time a new machine came out, you had to throw out everything you knew and start from scratch. The only advantage you had over a newcomer was that you were prepared to read the manual. If there’s one thing I learned how to do, it’s read a manual because I can’t tell you how many times I learned how a machine worked, only to have to completely relearn it. When I get a new TV, the first thing I do is jump into bed with a manual. My iPod didn’t come with a manual, so the first thing I did was buy iPods for Dummies. In the 1950s, what did you envision the future of technology would hold? I never thought I would have a PC doing what it’s doing now. However, I remember Dr. Eckert [director of the Watson Scientific Computing Lab] did say to me, "One day, everybody is going to have a computer right on their desk.” My eyes popped open. That must have been in the early 50s. He foresaw it. 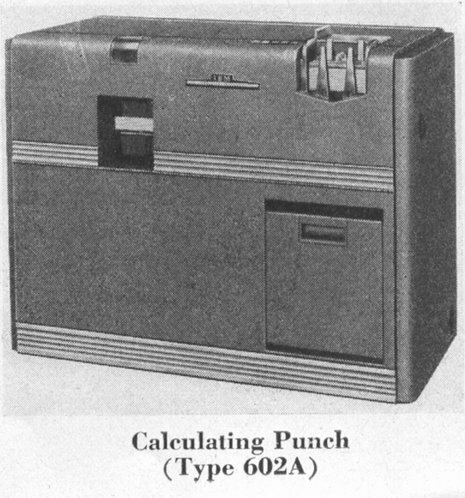 The Electronic Calculating Punch, one of several machines Kolchin described in her 1949 paper for Columbia Engineering Quarterly. How did people perceive computers at the time? What did your family and friends say when you told them what you did for a living? When I told my next-door neighbor that I was going to take the train in one day a week to work on a computer at NYU, he didn’t believe me. Not many women were working after they were married. And [in the 1950s] I was actually working at home a lot because I was doing a lot of programming from home. I would write out the program on paper using Fortran [a programming language], then I would mail it in to key punch operators at NYU, they would punch the cards out and then I would use the cards to run the program. People really didn’t even understand what I was doing because no one had computers around. 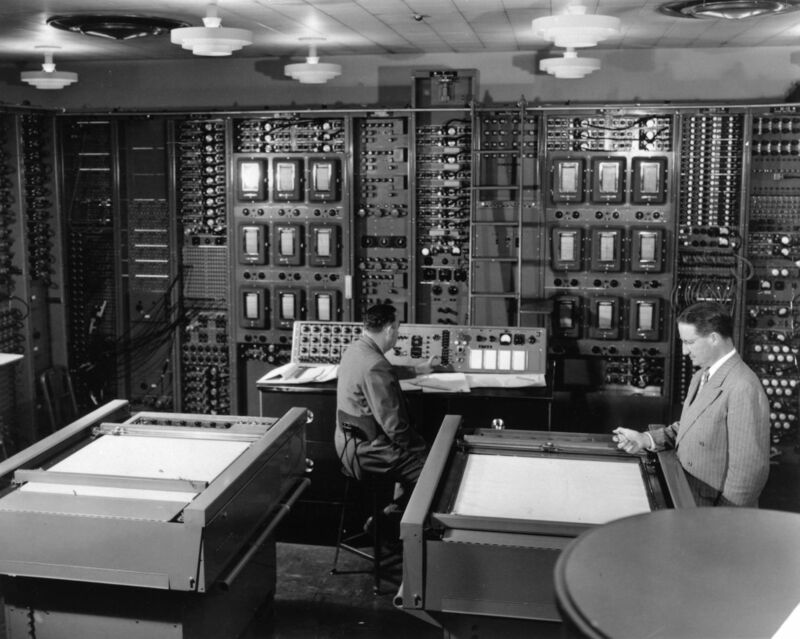 At that time, people had to go to big computing centers where there were these big machines they could use. Those machines didn’t even do what my laptop does now. What do you appreciate most about current computers and gadgets? I’ll tell you what gets me: the size of the computer. When they were computing the orbits of outer planets on the SSEC [IBM's Selective Sequence Electronic Calculator, which operated between 1948 and 1952] the machine took up an entire room, including the ceiling, under the floor and all the walls. My husband has 13 symphonies on his iPod Mini and they only take up a third of the space. That boggles my mind. You don’t even know what a miracle you’re living in. This interview has been edited and condensed for clarity. Learn more about Kolchin and the Watson Scientific Computing Lab here and here.